The comfortable apartments offer not only the possibility for a quiet and relaxed holiday but also for an active and interesting one. Internet WI-FI gratis. Vila Ogrin is located only three kilometers from Piran  a small town with rich architecture, culture and history, where you can also visit the Maritime museum "Sergej Maera" and the Aquarium. The Forma Viva is an interesting park with stone sculptures, which lies behind the yacht harbor in Portoro. Don't miss the visit to the Secovlje salt pans and the Tonas house, a professionally restored typical dwelling of the rural inhabitants, or to the old typical Istrian villages in the hinterland, waiting to be visited with their arms and hearts open, having so much to offer - hospitality, original Istrian dishes, wines and olive oil. The Coast, the Karst and the sea offer infinite possibilities for walks, cycling, trips and excursions, as well as horse riding. If your wish is to get to know the whole Slovenian coast better, then you should take advantage of the many organized excursions by boat, or by tourist planes offering beautiful panoramic views of the entire coast, from Portoro all the way to Ankaran. Portoroz is an ideal starting-point for trips and excursions to near and distant surroundings like the famous Postojna and kocjan caves, Hrastovlje, Ljubljana, the attractive capitol of Slovenia, the romantic lake Bled and wonderful Lipica. Venice and the Castel of Miramare in Italy. In the vicinity there are many beautiful Croatian coastal towns, islands and numerous natural beauties and monuments as the Plitvice lakes, Poreč, Rovinj, Limfjord, Pula, Brioni. 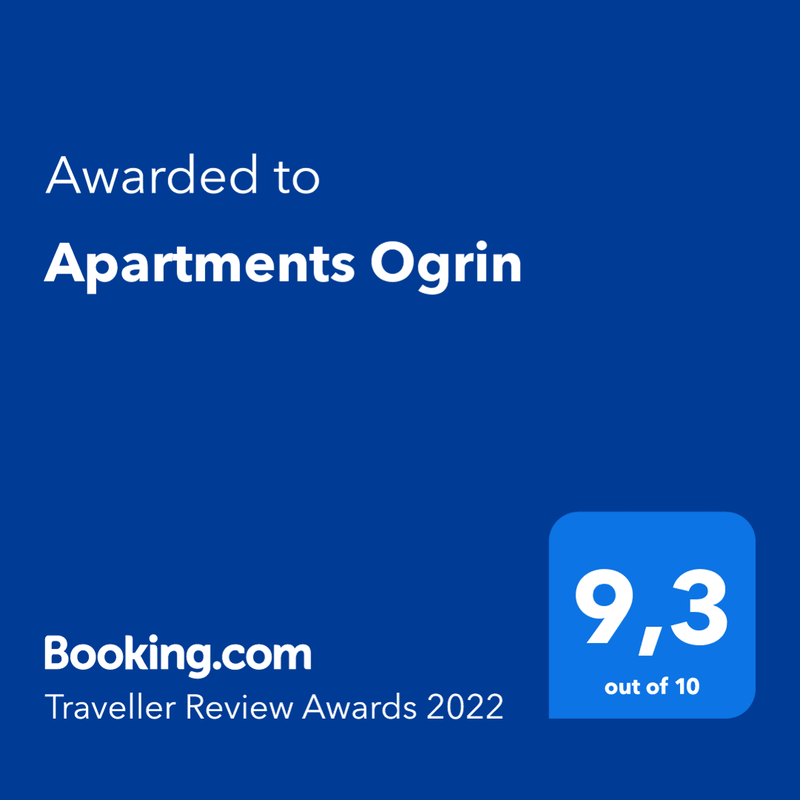 In the surroundings of Vila Ogrin there are numerous walks and attractive cycling tracks, numerous tennis courts, table tennis, basketball, football and volleyball grounds, mini golf, ninepins, bowling, beach volley, children play park and go-kart centre. You may wish to rent a sailing boat at the Yacht harbor of Portoro or attend a parachute course at the Sečovlje airport. Numerous aquatic sport centers in Portoro offer a variety of different sport activities: sailing, surfing, water skiing, parachuting, tube-gliding, and many more. You can also hire fishing and water sport requisites. There are also different diving clubs.